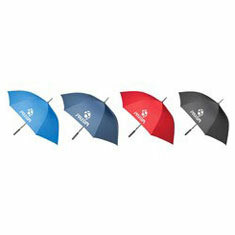 If you want your logo to stand out from the crowd, then a promotional umbrella from Prime Promotional Products is a must. 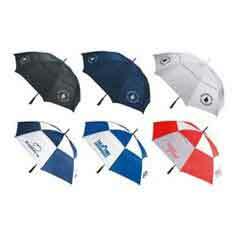 Our quality range of promotional umbrellas are available in a large range of styles, colours and sizes. 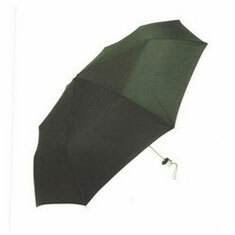 We supply windproof umbrellas, fibreglass umbrellas, compact umbrellas, folding umbrellas, automatic umbrellas, vented umbrellas, executive umbrellas and golf umbrellas. All of these custom umbrellas are supplied printed with your logo and details and make ideal Christmas gifts form clients and staff. 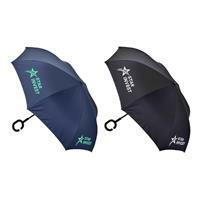 As these corporate umbrellas are customized with your organisations details, these gifts will act as a constant reminder of your goodwill gesture. 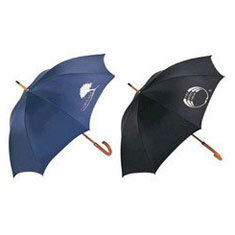 Personalised umbrellas are also a popular give-away at trade shows, conventions and conferences. For that personalised touch, we can even engrave the handle of the Manhattan umbrella with the individual name of the recipient. Personalized umbrellas take gift giving to the next level and will ensure that the gift you give will take pride of place. 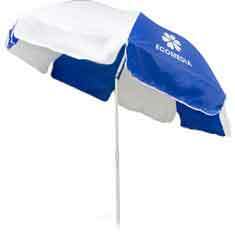 Umbrella printing can be done on one panel or on all four panels of the custom printed umbrella. 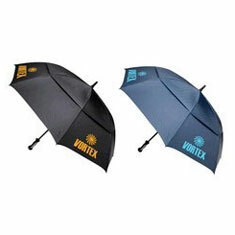 Logo umbrellas are often referred to as branded umbrellas or marketing umbrellas. 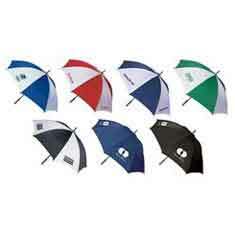 Wedding umbrellas are also very popular and will ensure that your guests remain dry while enjoying your special day. 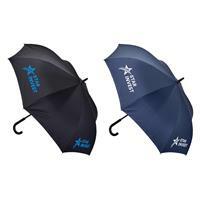 We can also supply a fully customised umbrella with all-over printing and can even print in full colour or use the sublimation process to transfer a picture onto the umbrella. In order to choose the most appropriate umbrella it’s important to consider who the umbrella will be given to. If the recipient does a lot of travelling, you might consider a foldup umbrella or mini umbrella which will fit easily into a briefcase or handbag. 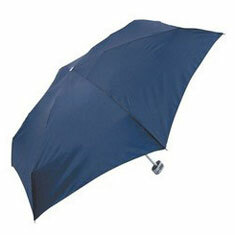 Our foldup genie umbrella has a unique automatic open and close function ensuring single handed operation. If the recipients spend a lot of time in the city, then an executive style might be best. 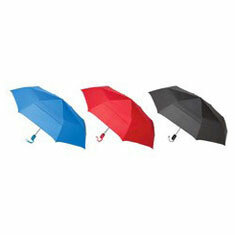 Executive umbrellas range in size from 24 inches to 26 inches (this is canopy measurement). If you feel a large 30 inch umbrella is more appropriate make sure you take a look at our golf umbrellas which include our standard golf umbrella 30’’, summit umbrella 30” and our top of the range blizzard 30” auto golf umbrella. All three of these styles are fitted with our windproof mechanism which prevents the umbrella from damage in high winds and storms. They are also manufactured with fibreglass ribs and shaft which prevents breakages as well as preventing the umbrella from acting as a lightning conductor. Our summit umbrella and blizzard umbrella are also fitted with a vent which allows wind gusts to pass through the canopy without damaging the umbrella frame. 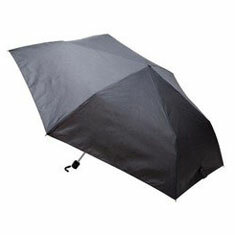 The top of the range blizzard umbrella is also fitted with an automatic opening function ensuring you stay dry while opening the umbrella with one hand. If you would like to see samples of any of these corporate umbrellas (obligation free), then please give our experienced customer service team a call – they’ll be happy to help.